As David Beckham waited to replace Javier Pastore to make his bow at the Parc des Princes in a Paris Saint-Germain jersey against arch rivals Marseille, there was someone standing next to him. Clement Chantome, the central midfielder, was also about to come on. Quite normal of course, but the significance should be lost on no one. Chantome and Beckham came on for Pastore and Marco Verratti, changing a 4-4-2 system which has brought Carlo Ancelotti more joy than any other he has used since being appointed coach of the Parisians, into something more closely resembling a 4-5-1. The reason for this was because Ancelotti, set as he was on introducing Beckham for his debut with the world’s media watching on, felt a need to protect the 37-year-old to ensure his age did not show. It certainly worked, Beckham playing some good passes and flicking the ball brilliantly into the path of Jeremy Menez to set up Zlatan Ibrahimovic for PSG’s second goal. But for all of the enthusiasm generated by Beckham and the impressive cameo he put on, that all seemed to come at the expense of the team and the system on which they had revelled so much previously. Ezequiel Lavezzi, the home team’s best player before Beckham made his entrance, became almost instantly ineffectual as the side was reconfigured to accommodate the Englishman. Chantome was again fielded with Matuidi alongside Beckham in his first full appearance for the Parisians, also against Marseille, this time in the Coupe de France. It certainly seems strange to change a system so radically to accommodate a 37-year-old, even one as respected as Beckham. The footballing justification for Beckham’s signature is thin at best and there is little doubt this was a signing made, like that of Ibrahimovic last summer, to raise the profile of the ‘PSG brand’. The plethora of journalists following his every step in the French capital and thrusting the club into newspaper columns across the world will, by extension, promote the club and thus play into the grand strategy of their Qatari owners. The growth of these marquee profile signings is not exclusive to PSG of course and has been a curious feature of football in recent years. Beckham’s previous move, from Real Madrid to Los Angeles Galaxy, is another example. Didier Drogba and fellow former Chelsea forward Nicolas Anelka joining Shanghai Shenhua was similarly motivated. They were bought to help popularise the game in the world’s most populous country. Samuel Eto’o made headlines when he became the best paid player on the globe by leaving Inter Milan for Anzhi Makhachkala, thus becoming a key part of billionaire Suleiman Kerimov’s plans to revitalise the war torn city of Makhachkala. But there is a difference, between an Eto’o or Beckham one hand, and players like Hulk and Zlatan Ibrahimovic on the other. It is hard to see how one helps in a football sense, whilst even though players like Hulk and Ibrahimovic are glamour names designed to help galvanise the club and raise a team’s profile, they remain fundamentally top level players who can clearly add something on the pitch too. Like Beckham, Wesley Sneijder is causing difficulties for his new manager, Fatih Terim, at Galatasaray. But whereas Beckham has a clear tactical use, as an experienced head in midfield who can relieve pressure with accurate passes forward, Sneijder is becoming increasingly outdated. A supremely gifted footballer, but one who does not seem to fit into the modern game. Not one to track, to do his share of defensive duties, Sneijder could only really work in a 4-2-3-1, but that would change Galatasaray’s style completely, and most teams playing that system usually deploy a playmaker who chases back. But Sneijder served a purpose off the pitch; marking Galatasaray’s emergence as a genuine force to be reckoned with on the continent. Of course there is nothing unique about a team deciding to capitalise on the marketing potential of a player, and it is a practise that dates back decades. 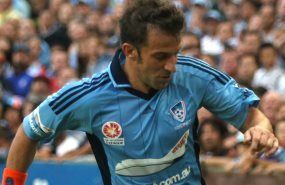 Pele came out of retirement to play in the North American Soccer League, helping spark huge interest in the game in the United States, which is really no different from Alessandro Del Piero going Down Under to Sydney FC to promote the Australian A-League. English sides have for years looked at East Asian players from China, South Korea and Japan, acutely aware of the extra commercial benefits of having individuals from those countries in their teams. And glamour signings were the policy of Florentino Perez during his first spell as Real Madrid president, when he bought the world’s best player every year. It is obvious how Zinedine Zidane, Ronaldo and David Beckham helped Real Madrid on the pitch, but there was a strong element of commercialism in those moves. Real Madrid were desperate to catch up with their biggest rivals commercially and in East Asia, and the glamour signings are key to doing exactly that. But where is the line to be drawn? If Ancelotti or Terim were in charge of transfer policy at their respective teams, it would be a very open question as to whether they would have signed Beckham and Sneijder respectively. If football is first and foremost about the eleven men on the pitch, representing the communities of the clubs who pay their wages, then there is a danger that football’s globalisation can take something romantic and essential out of the game itself. Everyone loves to see a Ronaldo, a Beckham or Sneijder pull on their club’s shirt. But when transfer policy and by extension tactics are dictated by the men in charge of the club’s marketing arm rather than the coach or director of football, then something has surely gone wrong. But don’t expect this trend to die down anytime soon – the signs are that it has only just begun.